Now some exercises to practise using either the gerunds or infinitive forms of verbs in sentences accrding to the context, some more exercises to come , because practice makes perfect!! This downloadable handout is a great resource for high school students and adults at Pre-intermediate (A2) and Intermediate (B1) level. 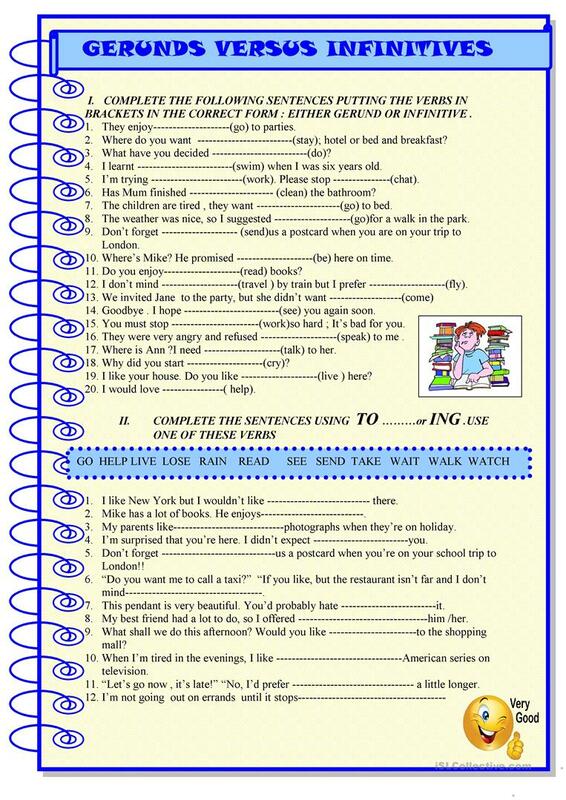 It is valuable for consolidating Gerunds and Infinitives in English, and is excellent for honing your students' Spelling, Reading and Writing skills.